Hey, it’s me! I need to ask for your forgiveness for my absence of late! We all know that life has a way of getting extremely busy at times. My attention has been needed in other realms of my life (you know, like the laundry room), but I am happy to be back to share some of what we’ve been up to in first grade! I like to keep this blog as a sort of virtual scrapbook of my teaching adventures and so I hope you don’t mind if I play catch-up for a bit. In this post I will highlight some things we did in October and in the next I will highlight November. 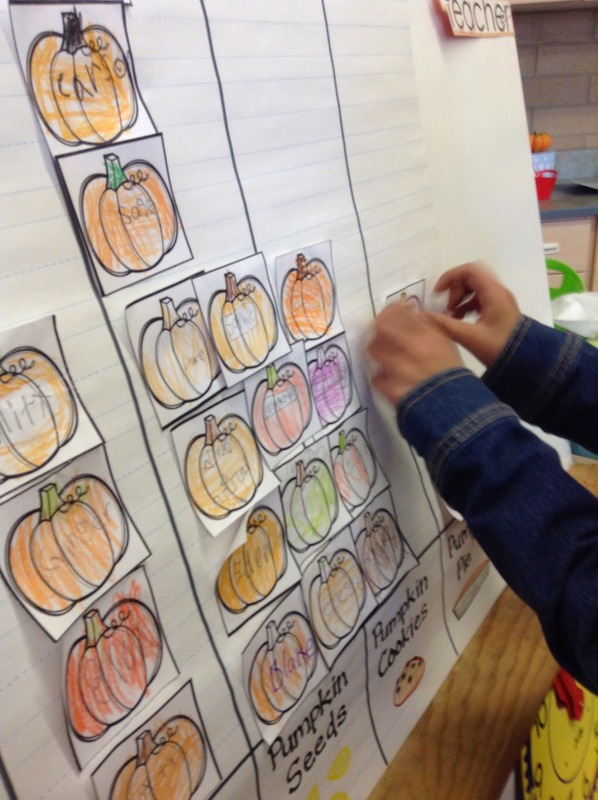 We practiced skip counting with this pumpkin page from my Pumpkin Time packet. 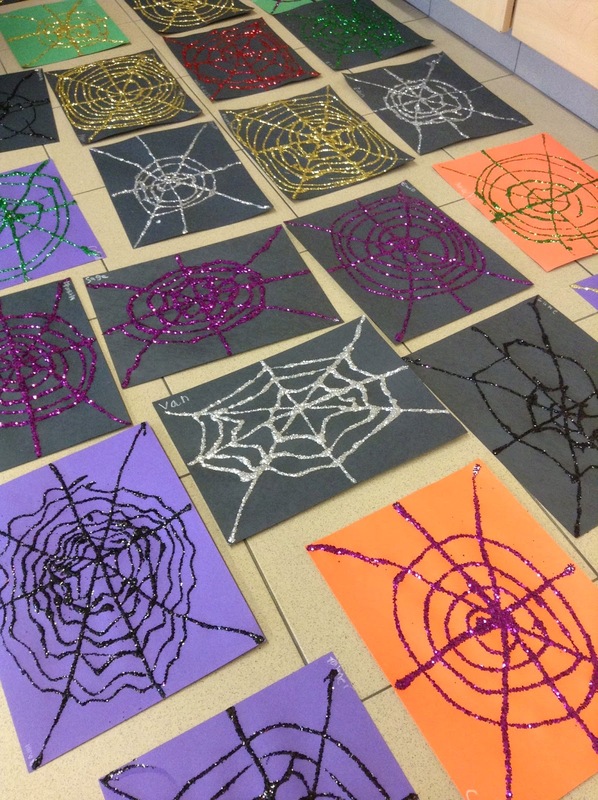 We got out the glitter and made some spider webs. We learned about spiders and put a cute little spider fact on our webs before hanging them in the hall to share what we had learned. 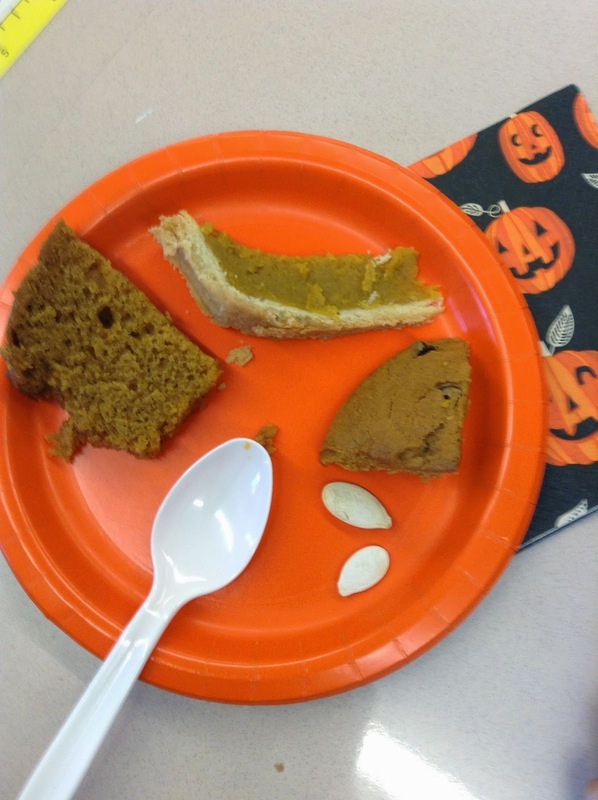 We had a pumpkin taste test party in which my kids sampled pumpkin bread, pumpkin pie, pumpkin cookies, pumpkin seeds, and pure pumpkin (this kiddo licked his spoon clean!). 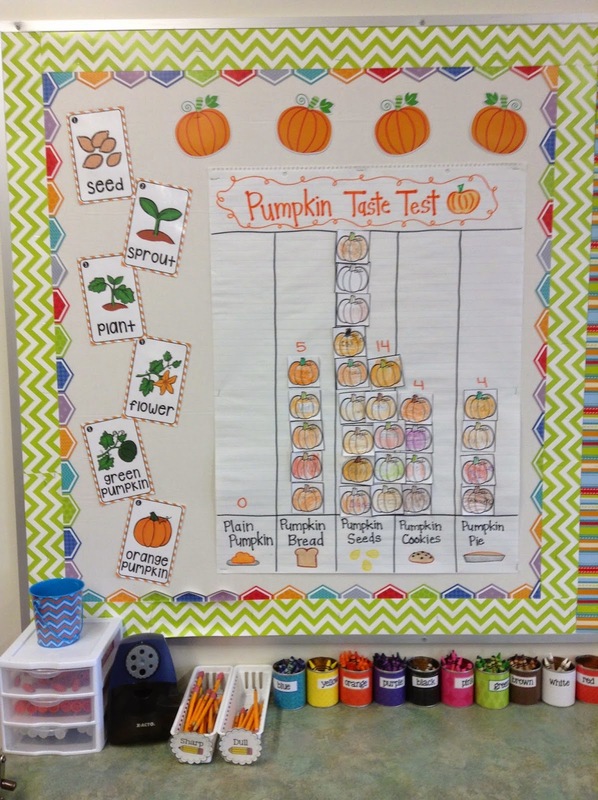 We collected some data to see which pumpkin foods was the favorite! Wouldn't you know it? Pumpkin seeds were the favorite! The week of Halloween week was also our Red Ribbon Week. The entire school let go of red balloons with a drug-free pledge attached to each. Halloween was a high-energy all-day party! My kids were so darling and we had such a great day. We even got some learning done. In the afternoon my room moms threw a great party for my kiddos and we enjoyed these darling monster donuts at the end!